This sincere, laugh-out-loud confessional from Turner candidly reveals—and revels in—the flaws and dysfunctions of the author and her family. The "controlling, compulsively cleaning, wine guzzling" narrator with "neurotic tendencies" explains that anyone who enters a potentially lifelong romantic relationship has made a terrible mistake "akin to jumping onto subway tracks to retrieve a fallen pen." That doesn't apply to her, however, when she meets Mike and realizes that she had "gleefully jumped onto the subway tracks, because I wanted that pen." The two agree to skip children, but eventually have two loving daughters who fill their lives with even more hilarious moments. From family problems, breastfeeding, her experiments with pot in Mexico, and lessons learned in Russia while "major[ing] in vodka," Turner is not afraid to voice her private thoughts and never takes herself too seriously. She details her pregnancy and child-rearing techniques in a refreshingly honest way, claiming that she should have been awarded a medal for managing to be kind at any point during her pregnancy. 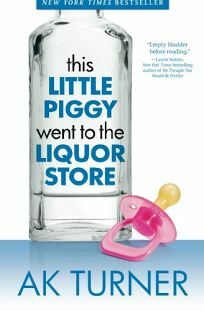 The book is light-hearted and riddled with comedic episodes that young mothers in particular will relate to and enjoy. Although the narrative is occasionally scattered as it jumps between stories, it remains a quick and thoroughly entertaining read.